Mounts to milling machine or drill press table. 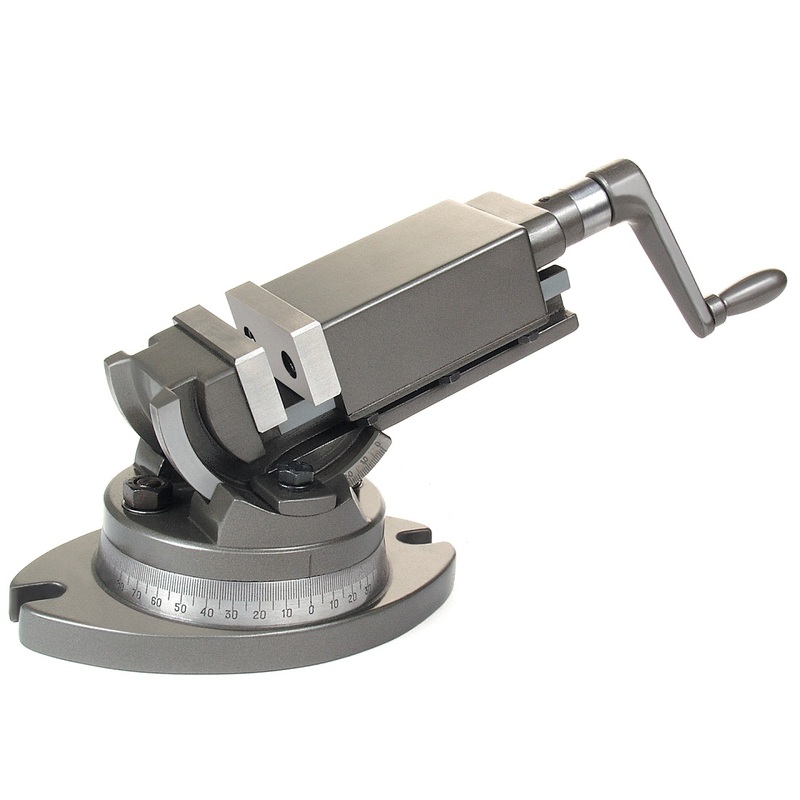 Rotates 360 degrees and inclines from 0 to 90 degrees to mill or drill at any angle in-between. 2 inch wide x 1 inch deep jaws open 1-7/8 inches. Height at 0 incline is 3-5/8 inches. Includes engraved markings for degrees of incline and rotation.